Kit building is as old as amateur radio and as popular as ever. The attraction to kit building comes from the learning experience of building an electronic project, the pride of knowing how components work and the money saved by doing it yourself. A longtime kit builder himself, Kevin shows us that kits for all kinds of radio projects are readily available today, but that it’s also a fun experience to do with your children or grandchildren. This month our digital guru goes old school as he examines the original digital conversation: Morse code. 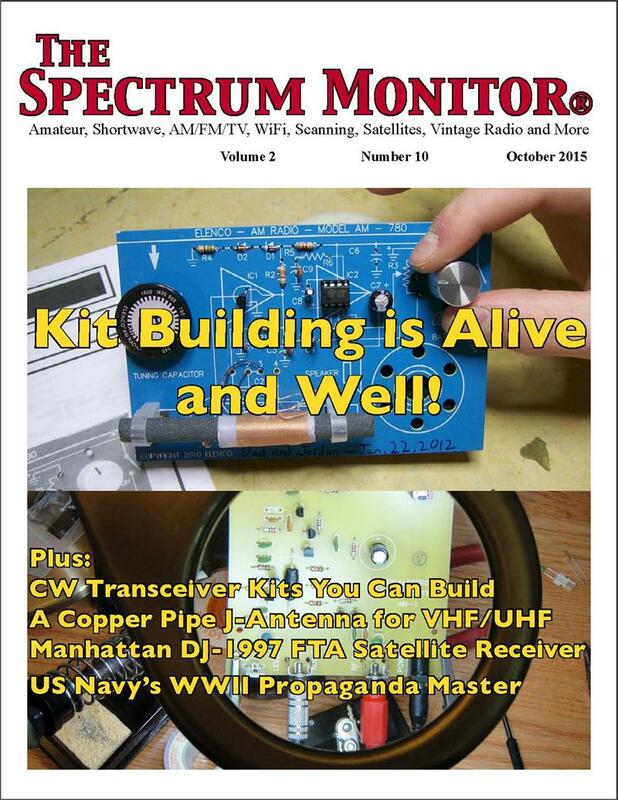 The attraction of CW is multilevel: it’s a mode available to all license classes, an efficient use of bandwidth, and a natural for low power DIY ham stations. Furthermore, savvy CW operators can put together a small, capable station at a fraction of the cost of voice mode stations. Despite the fact that the Morse requirement for amateur licenses was dropped in early 2007, CW operating is a popular as ever. Explore the myths and magic of the J-antenna and get yourself “de-polarized.” Richard explains that some of the things you thought you knew about the J-antenna just aren’t right. And, that with a quick trip to your nearest home-improvement store, you can find all the parts and all the tools you need to build one of the most popular VHF-UHF antennas for scanning or amateur radio applications. You’ll even find out how to put this antenna on your bike for some on-road and off-road bicycle/mobile fun. The new Manhattan DJ-1997 receiver is smaller and less expensive than its predecessor and yet more capable. It goes a long way toward blurring the lines between traditional cable and satellite TV services and the new direction consumers are inevitably migrating toward: Over the Top TV. We’ve seen similar activity with services offered by new TV sets: direct access through apps to Netflix, Hulu, Pandora and a host of other non-cable/satellite video and audio services, including direct access to Web content. This is disruptive technology in the best sense of the word. While British forces in WWII had mounted successful radio-based propaganda campaigns, the US had no such program until 1942 when the US Office of Naval Intelligence put together an unlikely trio, which included a doctor, a lawyer and a Hungarian émigré. They created a fictitious character named Commander Norden and broadcast what they said was the truth in German aimed at German warships. But, how successful was the program? Are You Up for the Challenge of 60 Meters?